TROY, Mich., March 22, 2017 – Altair presents at this year's HANNOVER MESSE, April 24 - 28, its solutions and methods for simulation driven design and a technology demonstrator of a virtual cobot (a collaborative robot), as well as customer examples to demonstrate how Altair's solutions can be applied to develop innovative products. In addition, Altair will host: a "Design the Difference™" day, offering a conference program that addresses the challenges and needs of engineers working on the development of increasingly complex products, featuring customer examples of successful product developments. The "Design the Difference" day conference program is included in the overall program of the CAE Forum and will take place on April 25th at 1.30 pm in hall 6/L46. Today product creators have to consider the entire mechatronic system, including its structure, sensors, actuators, controllers and much more. How these complex processes can be handled will be presented with a virtual cobot demonstrator, showing the challenges in the development of smart devices and offering solutions for innovative IoT products. From 1D to 3D - from sensors to optimized structures, as well as data analytics, all required development steps can be conducted and solved with Altair's software platform and its simulation driven innovation approach. How to handle manufacturing methods and smart materials are showcased with exhibits of products by Altair customers. 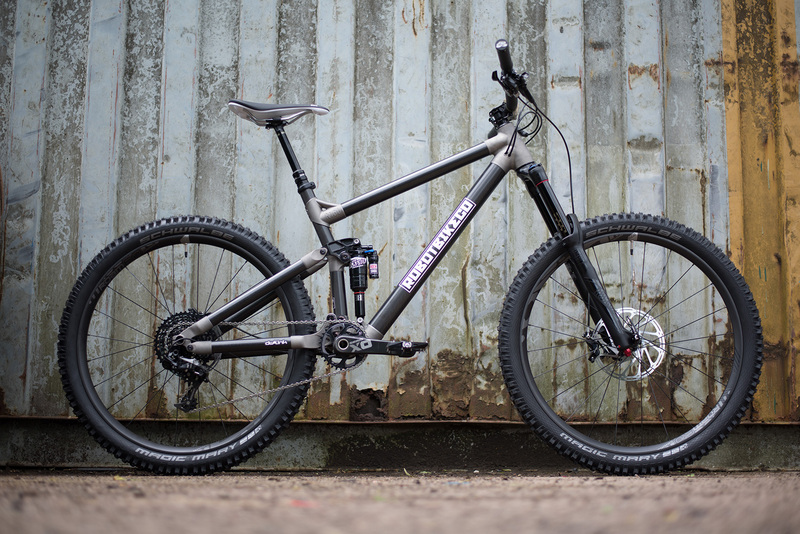 Among these the Robot Bike, a bike that combines carbon fiber and 3D printing technologies, resulting in a fully customizable, lightweight, and high strength mountain bike. PROTIQ's additively manufactured injection molding tool, that offers unparalleled profitability through structural and thermal optimization. And an example of a before welded component of a rocker arm for an agricultural soil tillage unit, which is now casted and was optimized regarding weight, material usage and durability, from AMAZONE. The demonstrator was developed together with Altair, voxeljet, and Procast. and HyperWorks 2017 the most comprehensive CAE platform available today. In addition, Altair is pleased welcome Laser Zentrum Nord GmbH as a co-exhibitor at this year’s conference. Together the two companies will present their specific solutions for additive manufacturing, a collaboratively developed "Design for Additive Manufacturing" training program as well as a joint case study of a “bionic brake pedal” demonstrator. "We have joined Altair at their Hannover Messe booth for the last couple of years and are very happy to do it again this year," said, Frank Beckmann at Laser Zentrum Nord GmbH. "At our demo station at the Altair booth we will focus on our innovational technologies for metal additive manufacturing and will be showing, amongst other components, a 3D printed “bionic brake pedal” demonstrator, which was optimized using the Altair tools and manufactured following the processes we recommend for more efficiency in metal 3D printing. The structure of this demonstrator was optimized with the aid of topology optimization against the background of light construction. 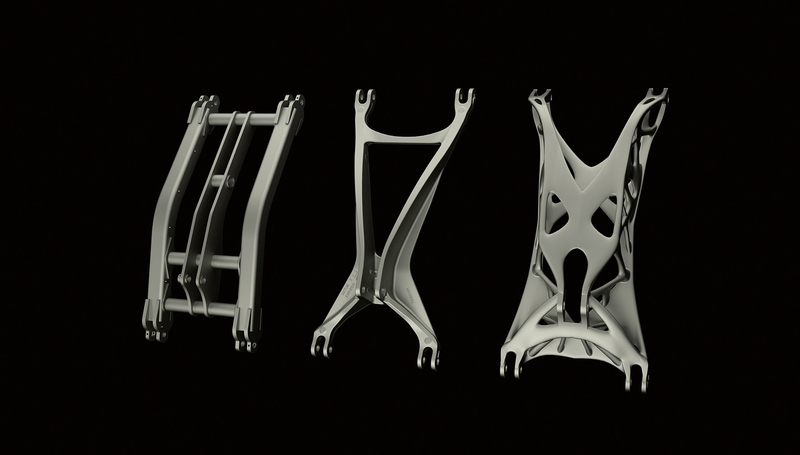 The design was adapted for additive production in order to keep the number of support structures as low as possible. As a result, the effort in the after-treatment of the pedal is reduced to a minimum." The agenda of Altair's Design the Difference program covers the challenging journey engineers have to make when developing for Industry 4.0 and presents solutions and methods for simulation driven innovation by illustrating various industry examples on how to develop innovative products successfully, despite an increasing complexity. How Simulation Driven Design Revolutionizes Product Development - If Done Right! Podium Discussion - Why do we Need to Change the Design Paradigm for IOT Devices? Visit Altair at HANNOVER MESSE 2017, hall 6/booth L17 and on Tuesday April 25 at 1.30 pm at the CAE-Forum in hall 6/booth L46. 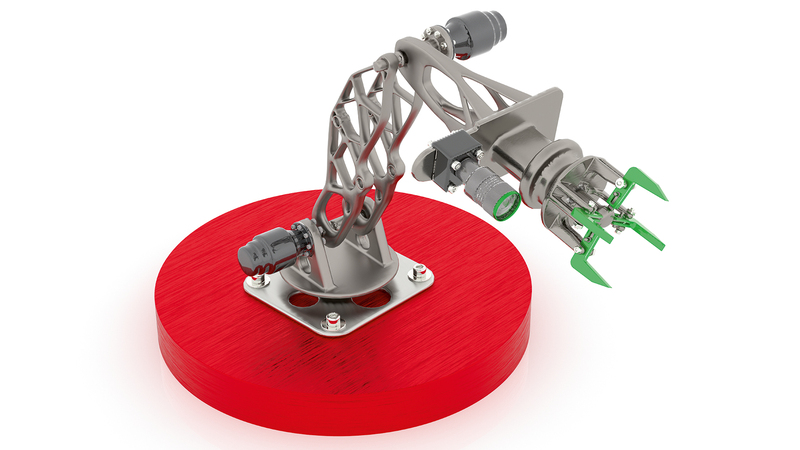 From 1D to 3D – from sensors to optimized structures, as well as data handling, all required development steps for this virtual cobot demonstrator can be conducted and solved within Altair’s software platform. The Robot Bike, combines carbon fiber and 3D printing technologies, resulting in a fully customizable, lightweight, and high strength mountain bike. 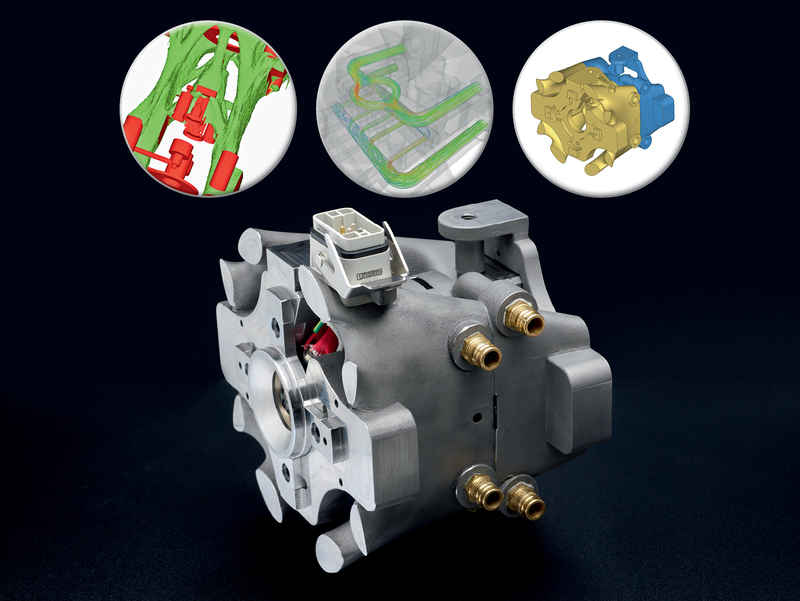 PROTIQ's new additively manufactured injection molding tool. The new tool offers unparalleled profitability through structural and thermal optimization. Weld structure substitution through high performance casting. The Amazone rocker arm was optimized regarding weight, material usage and durability. Altair is focused on the development and application of simulation technology to synthesize and optimize designs, processes and decisions for improved business performance. Privately held with more than 2,600 employees, Altair is headquartered in Troy, Michigan, USA with more than 50 offices throughout 22 countries, and serves more than 5,000 corporate clients across broad industry segments. To learn more, please visit www.altair.com.